The weeks preceding Christmas were a very frustrating time for myself last year, as Mike refused to offer any present suggestions…the truth being I suppose, that he didn’t really need anything! (This never seems to happen to me.) Anyhow I decided to buy him what I know he’ll always love: the gift of Food and Drink. So I began the gratifying search (I love a good search) for a gastro-pub-with-rooms, within easy reach and a modest(ish) budget. It was surprisingly difficult. My top choice was The Hand and Flowers in Marlow, which has hit the foodie big time being the first pub to receive two Michelin stars in the 2012 Guide. But alas, Fridays and Saturdays booked until May 2012 (probably later now). My next choice was The Swan at Swinbrook, a lunchtime favourite, which also has rooms but disappointingly these can only be booked for a minimum of 2 nights, so the search continued. A brisk look through, ‘The Good Pub Guide’ narrowed down my options and The Stagg Inn at Titley seemed to be an exciting possibility. The first pub to be awarded a Michelin Star in 2001, it has continued to be placed in the Top-Ten National Gastro-Pubs and has been awarded 2012 National Dining Pub of the Year by ‘The Good Pub Guide’. So I booked it. 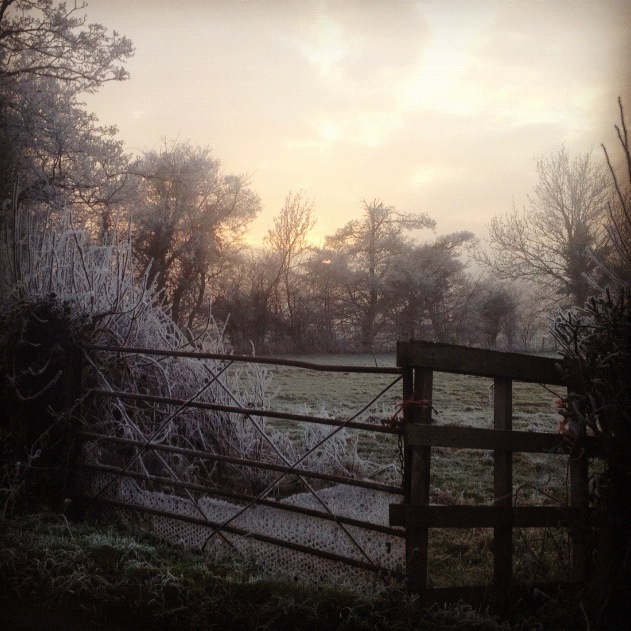 And on a cold mid-January afternoon, kiddies packed off to the grandparents, we drove into the crisp Herefordshire countryside to enjoy the gift that kept on giving! The journey alone was a treat and the weekend that followed equalled it. The Stagg Inn was a gem of a pub! An unpretentious local village Inn, it describes itself as part medieval, part Victorian with a bit of 70’s in the mix (but don’t let that put you off). The front bar is a casual fire-lit arrangement, with comfortable dining rooms to the rear. The sleeping arrangements are a little more unusual, with three bedrooms above the pub and three more in The Vicarage, five minutes walk down the road. We stayed at the latter, in The Greenly bedroom, complete with period features, en-suite bathroom (with slipper bath), church views and a torch swinging on the back of the door to light your way along the unlit road, to and from the pub. 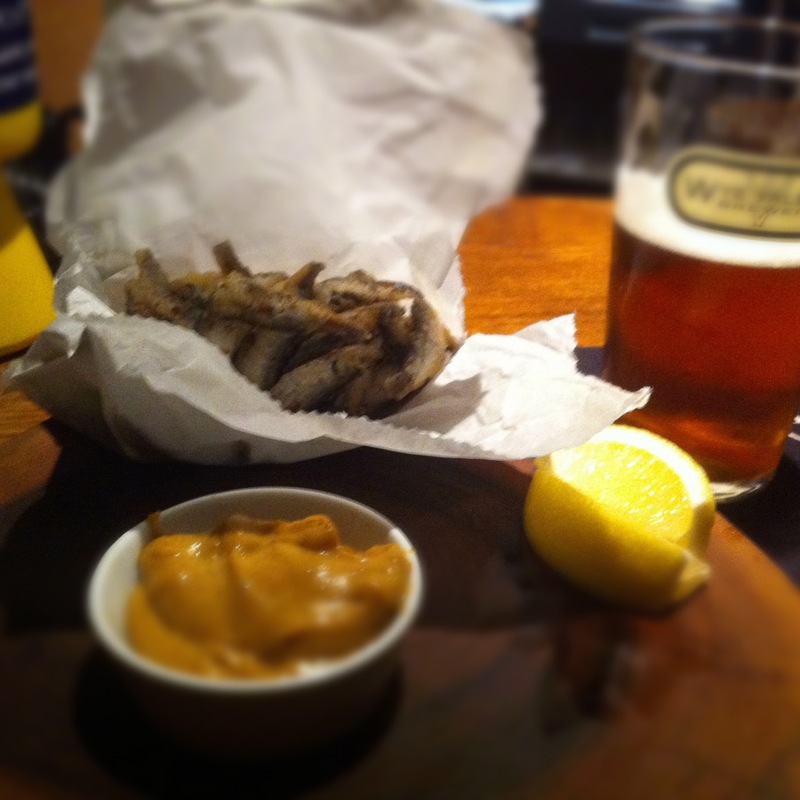 The pub was heaving by 7.30 and we squeezed ourself against the bar to enjoy a pre-dinner pint of real ale and a paper bag of whitebait served with the most delicious spiced mayonnaise I’ve ever savoured. For dinner, I enjoyed a goats cheese and beetroot salad, followed by pan-fried gnocchi served with chicory, jerusalem artichokes and a watercress sauce. Both dishes were from the vegetarian menu and were extremely delicious. Mike was overjoyed to see home-made black pudding on the menu and even more so to discover it was accompanied by belly pork, which was a great success as was the fillet of Herefordshire beef served with a horseradish cream. For dessert we shared a deliciously vibrant lemon tart…probably the best I’ve ever eaten. And finally we had the walk home to entertain us. It was a pitch black, star filled night with nothing but the wind-up torch to guide us home. 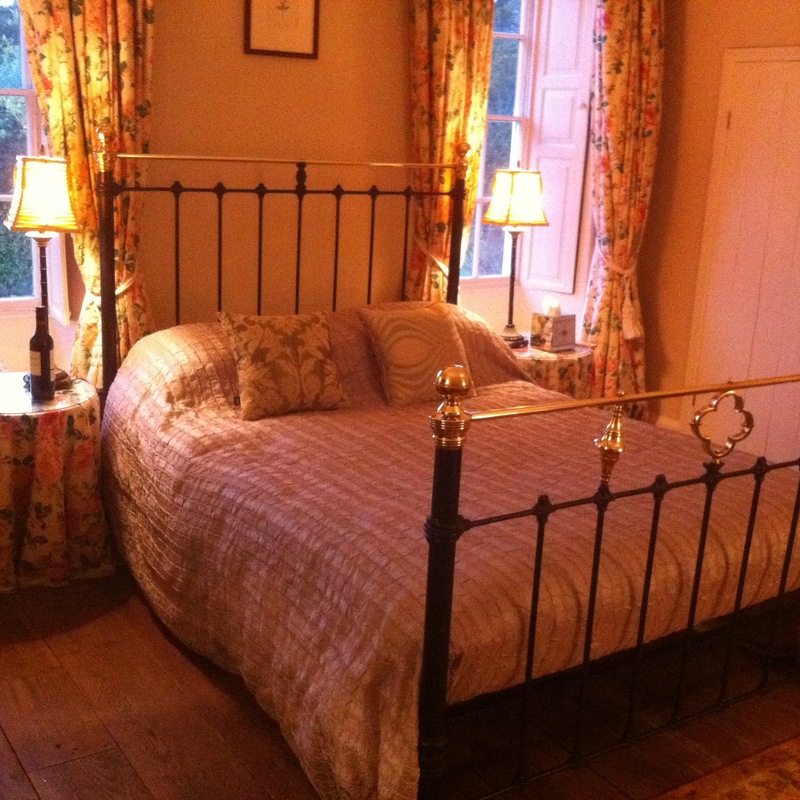 Unfortunately, by that time, we lacked the vigour necessary to wind the torch into producing anything that resembled light but quite frankly we were beyond caring where (or what) we were walking or falling into, other than the king-size bed that awaited us back at the vicarage…heavenly! This entry was posted in Discoveries on my Doorstep and tagged Herefordshire, Michelin Guide, Public house, Stagg Inn, Titley. Bookmark the permalink. This place sounds great, so funny they have rooms in the vicarage down the road. 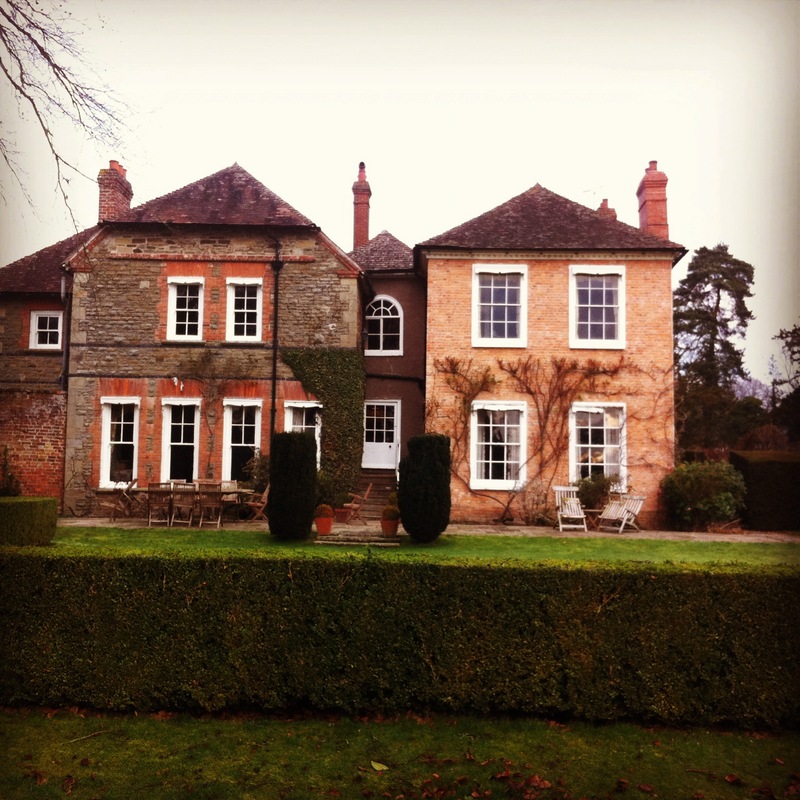 We stayed at the Swan in Swinbrook recently and was really unimpressed. Rooms were lovely but the pub and food not great. The Rose & Crown at Shilton I think is much nicer, if you haven’t been there try it – chefs from the Wolsley and the Ivy (I think?). No rooms though. I am only commenting to make you know of the mnifgniceat discovery my child encountered reading the blog. She came to find a wide variety of details, with the inclusion of what it is like to have a very effective teaching character to make the rest without difficulty have an understanding of some problematic subject areas. You actually did more than readers’ expected results. Many thanks for producing the essential, dependable, explanatory and in addition unique tips on this topic to Mary. Thanks Lorenzo, did you stay at The Stagg? Always an excellent plan to gift one’s hubbie with a treat for two! Keep posting – love these.